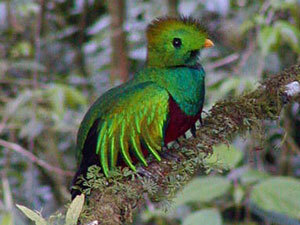 Monteverde Adventure Company was formerly known as Desafio Monteverde Tours. In November 2015, the office was re-named and restructured. The owners of the company are still the same and have their head office in La Fortuna, Arenal and known as Desafio Adventure Company. Monteverde Adventure Company should not be seen as just a local Monteverde agency, able to arrange tours, transport and hotels only in Monteverde. In fact, they are actually an experienced package tour agency and have been arranging packages all around Costa Rica for many years. They have a wealth of experience and can arrange holidays anywhere in Costa Rica. Monteverde is simply a base as it is a spectacular place to live and work. Who wouldn't like to work in paradise after all! The web site Desafio Monteverde Tours is connected to Desafio Adventure Company in that it sends letters to the Monteverde Office. The web site is kept up to date with all the latest tours and offers in the area! Darlene Rockwell is the most senior of the staff at Monteverde Adventure Company and have been there for 7 years. Desafio Monteverde Tours has been operating since 1992 and enjoys much success with its web site and its partnership with Monteverde Adventure Company. Monteverde Tours is actually owned by Janet Ellis who has been in Costa Rica for 17 years and who ran the office until November 2015 and then turned to concentrating on the web site. Monteverde Adventure Company is located in Santa Elena (known as the main business center in Monteverde). Santa Elena is actually a tiny town (the whole of Monteverde is under 6000 population). Many of the more economical hotels are located in Santa Elena. In Santa Elena there are many tour agencies, souvenir shops and services, such as the banks and post office. There are many taxis in the area; the Monteverde Cloud Forest is about 20 minutes away. There are many hotels along the road from Santa Elena all the way to the Parks. The Monteverde Adventure Company office is located in Santa Elena (you may have to ask the locals for Desafio Monteverde as not many people have heard about the name change yet!). It is located under the Beer House restuarant (and what was known as La Taberna for many years) and is on the way to the main bus stop and the commercial center ('the mall').